The roof of any structure is the supporting frame on which the roofing material is mounted. Its construction is impossible without such important components as rafters, power plate and lathing. Even if you plan to build a not too complex architectural structure, for example, a bath, and its roof will have the simplest structure, you will need scrupulous calculation, a certain theoretical preparation and careful selection of materials. Elements of the truss system. In order to install the rafters on the bath, you will definitely need helpers, and before starting construction you will need to recall the safety precautions associated with working at height and inclined planes. 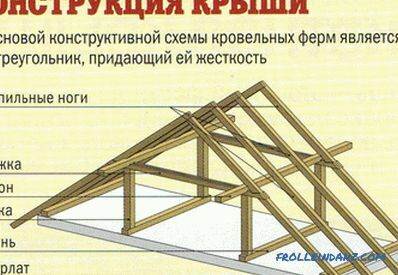 Design of the truss system of a dual-pitch roof. The choice of roof configuration during the construction of a bath depends on the climatic conditions of the area and the planned expenditure budget. The large load that the roof will experience under the influence of wind and snow requires from its support a fair amount of strength and durability. The cost of construction is directly related to the angle of inclination: the higher it is, the more difficult and more expensive it will be to build. But with a slight slope, precipitation will linger on the surface of the roof, and excessive physical pressure can result in a violation of the integrity of the structure. The roof of the bath can be flat, single slope or double gable. The latter option is more expensive and time consuming, but has as a significant advantage the presence of an attic room, which can be successfully used to store bath equipment or for any other purpose. It is also possible to build an attic under the sloping roof, but it will not be spacious enough and comfortable. Any roof consists of a supporting frame that receives all the main loads and a roof that protects the upper part of the building from external influences. The roof is fastened on a special crate, which is mounted to the rafters, divided into two categories: hanging and walling. 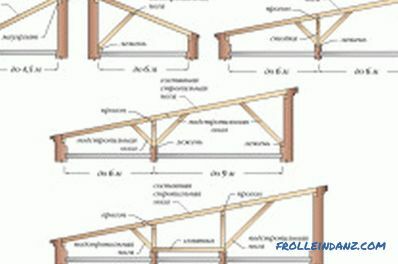 The external walls when supporting the single-sided roof, or the internal and external walls in the gable variant serve as supports for the naval rafters. Rafters are inclined beams made of well-dried coniferous wood in the form of boards or bars 40-60 mm thick. At its core, the rafters are joints of strong bars based on rigid ligaments, which ensure the correct distribution of the roof load on the bath. 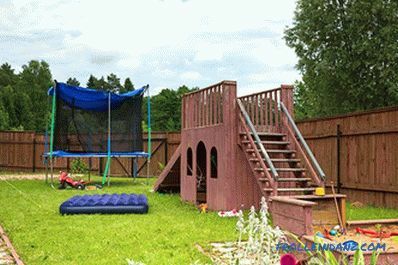 The installation of the truss system can be carried out directly on the bath house, or it can initially be assembled on the ground with subsequent installation on the structure, where it remains only to fix. Rafters of a shed roof. The construction of the roof system for a bath can be started only with the complete completion of the construction of the building box. Before beginning the process of building a bath, a detailed project should be drawn up with determining the optimal parameters of the materials used and the exact angle of inclination of the slope. If the rafters are installed on a log house, they will be supported by the uppermost log - the crown. In the case of the construction of a brick bath, a support bar is laid horizontally over the structure, which is called a power plate in construction terminology. It is usually mounted to the wall with reinforcement in the form of a single piece or segments of size 600-800 mm under each leg of rafters. 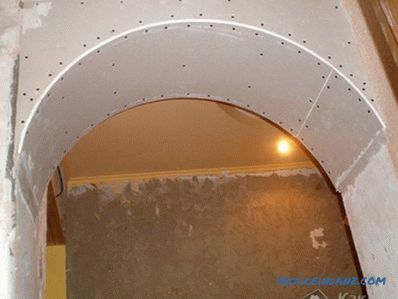 When constructing an attic floor, in the details of the supporting bars, grooves are cut out up to half their width, and the supports of the attic floor are mounted in them. Fastening is carried out using U-shaped brackets or reinforcement at a distance of 600-1200 mm, usually used for a bath. Rafters are installed at the same distance, forming a generally single farm with a support bar. In order to install the rafters, steel wire having a minimum thickness of 8 mm can be used. 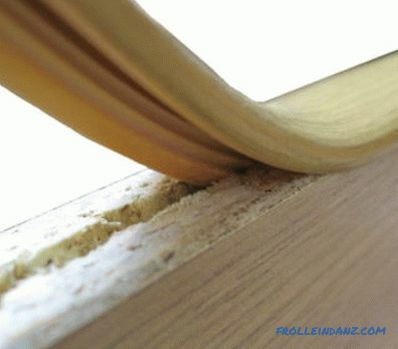 Sometimes the rafter beam may be too short and may require lengthening. 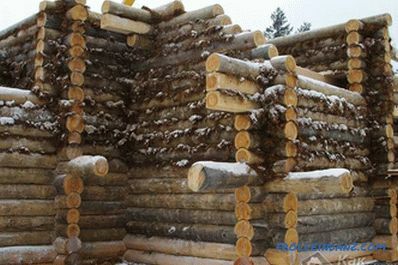 Connection of 2 segments is carried out using large diameter studs with an obligatory overlap of parts of not less than 1 m.
Rafters, whose length exceeds 6 m, can sag during operation under their weight or under pressure of the roof covered with a layer of snow. To prevent this phenomenon across the rafters install support beam of sufficient thickness or arrange additional beams or struts. After the installation of the supporting system is completed, the excess parts of the rafters are sawn off according to the level of the eaves and are transferred to the work on the crate and roofing. 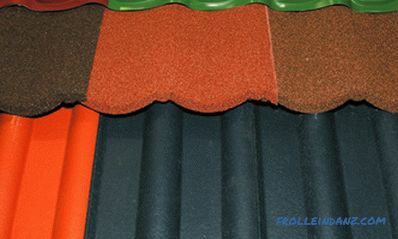 Timber for roofs of any type and configuration must be necessarily treated with biological and fire-resistant protection.For this purpose, special substances are used that are related to antipyretic agents (reducing the flammability of materials) and antiseptics (preventing the appearance of microorganisms in the wood that cause decay). 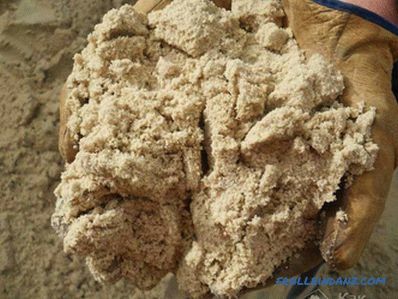 These protective compounds are applied in at least two layers, using a wide brush with a long nap and carefully drying the parts after each treatment. 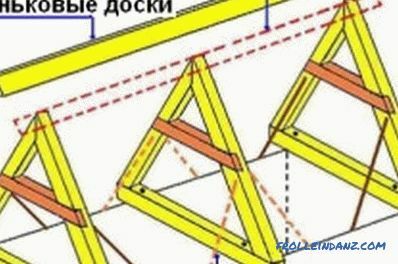 This must be done before the start of the assembly of the roof, in order to carry out high-quality impregnation at the joints of the parts. Wooden shelves with their own hands are made in a short time. To do this, select the appropriate material, determine the size, choose a design. Then the assembly is carried out. How to assemble a log house for a bath? 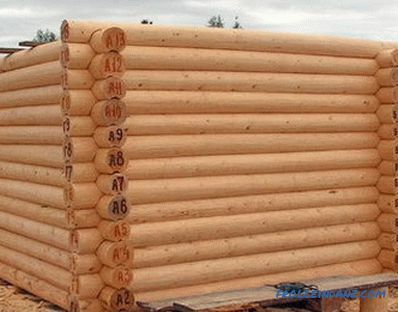 Recommendations on how to build a log house for a bath, choose lumber and prepare it. The nuances and technologies of installation of middle, lower and upper rims, as well as methods for their additional fastening.